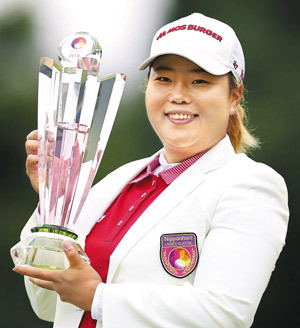 Ahn Sun-ju won the Nipponham Ladies Classic on Sunday to claim her third title of the season on Japan's LPGA Tour. She made six birdies and one bogey in the third round to finish the event at the Ambix Hakodate Club in Hokkaido with a 13-under 203. She finished two strokes ahead of Teresa Lu of Taiwan and Fumika Kawagishi of Japan. After collecting eight wins in Korea, she made her JLPGA debut in 2010. 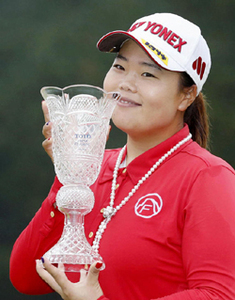 With the victory in Hokkaido, Ahn set a new record for titles by a Korean player on the Japanese tour at 26. She is now followed by Joen Mi-jeong (25), the late Ku Ok-hee (23), Lee Ji-hee (22) and Lee Bo-mee (21).